Inventory Status: There’s not as drastic a shortage as there is in other areas, but there is a little bit of a multiple-offer situation. We’re training our agents to handle these situations to make sure they get the winning bid. The future is…rosy. Business is wonderful, and agents are doing a good job. The market will be going up for a while. I don’t think we’ll see a huge rise in interest rates. We’ve continued to offer the value proposition of giving agents 40 realtor.com leads a month, with no monthly fees and no joining fees. We’re now up to 206 agents and still getting 10 applications a day from agents who want to join our company. Since the last time we spoke, business has boomed. Most months are a record over the previous. We’re going to close 230 transactions this month (at press time) for about $50 million. Life’s very good! We don’t do anything else. We don’t call expireds or FSBOs. We don’t stuff mailboxes. We have a call center in Ocala that operates from 7:30 a.m. to 10:00 p.m. 365 days a year. We have a group of people there that call back every lead in 20 seconds. The five-minute [response time] of 2-3 years ago doesn’t work anymore. Our call center people don’t try to preapprove people over the phone, but rather, they try to set appointments on behalf of the agents because 92 percent of buyers will go with the first person they speak to. 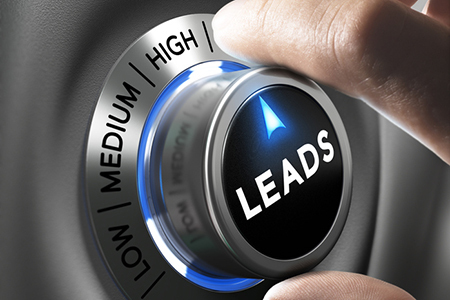 We buy shared leads from realtor.com, which means we have to be first. We have to beat the other person to the lead.